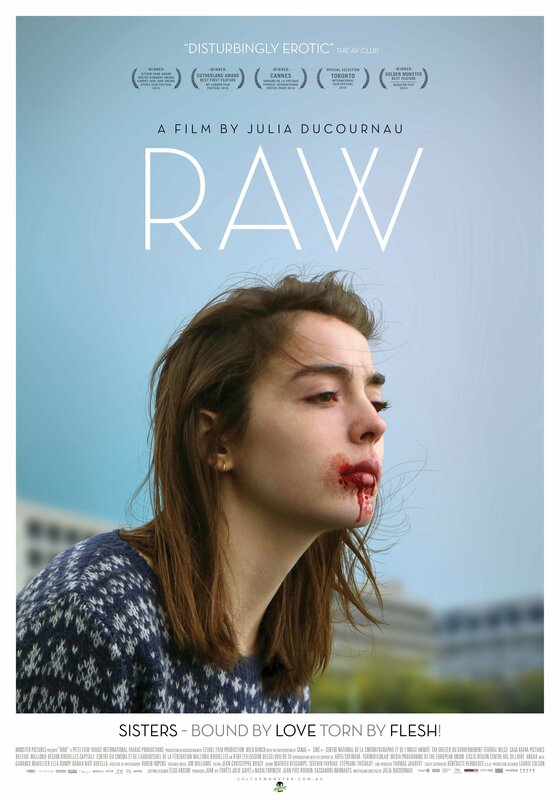 Julia Ducournau’s critically-lauded, coming-of-age cannibal drama/horror film Raw will be released via Focus World on March 10th, but in Australia, the movie will be released from distributor Monster Pictures (love that name!) on Thursday, April 20th. As with all films, marketing materials differ from country to country and we love shining lights on how other lands sell their horror movies. So with that, we have your first look at Raw‘s beautiful, stark new Australian theatrical poster. The 2106 Cannes FIRPRESCI Prize-winning film tells the story of Justine (Garance Marillier), a brilliant 16-year old whose admission to a prestigious veterinary school sparks a coming-of-age like no other. While her sister Alexia watches on, Justine partakes in a bizarre hazing ritual where she is forced to eat raw meat for the first time, defying her vegan upbringing and unleashing an insatiable desire for flesh. 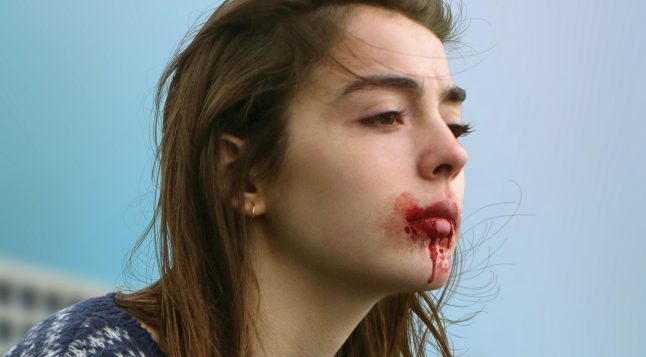 The unsettling, blood-soaked consequences of Justine’s actions are stylishly realized in Ducournau’s debut, an astonishingly on-point portrait of how it feels to be a young woman in the world today.